TIPP CITY — On Wednesday, the Miami County Sheriff’s Office’s Detectives Section, with the assistance of the Tipp City Police Department, served a search warrant at 1255 Sequoia Court, Apt. C, Tipp City, according to Sheriff Dave Duchak. The search warrant was the culmination of a months-long investigation into the trafficking of cocaine, he said in a press release. 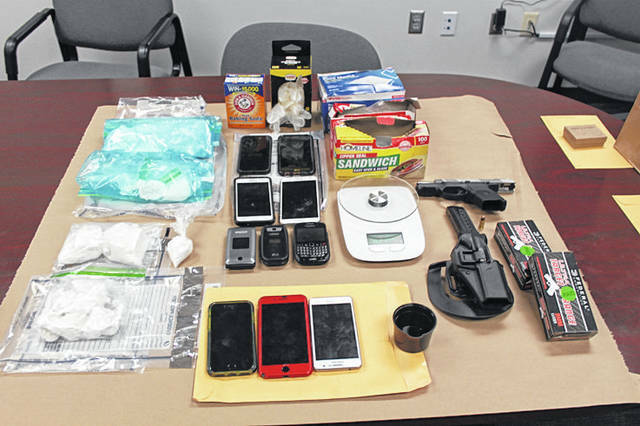 Duchak said evidence seized included approximately 1 1/2 pounds of cocaine, digital scales, cell phones, a loaded firearm and drug paraphernalia. 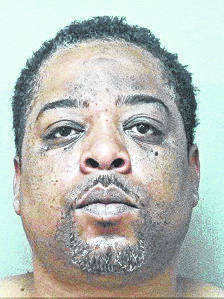 Kenneth L. Scott, 48, of the same Tipp City address, was arrested and charged with possession of cocaine, having weapons under disability, criminal tools, and possession of drug paraphernalia. Scott remained in jail Thursday. Duchak said the investigation is ongoing and charges will be presented to a Miami County Grand Jury for consideration. Scott was arraigned in Miami County Municipal Court on Thursday morning with a $200,000 bond set for all charges and a preliminary hearing to be held April 18 with Judge Samuel Huffman presiding.